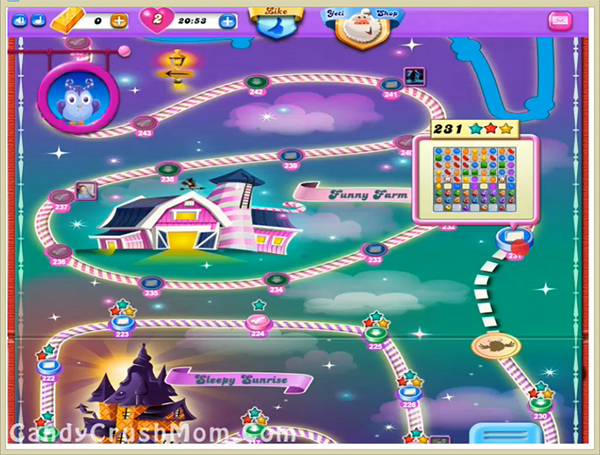 This is the first level of funny farm episode and have normal difficulty with three question mark candies. For this level you need to break jellies and try not to use special candy fast if you get from question mark candies as it could unbalance the Odus owl. Try to use those special candies after moon struck to reach requirement easily with three star score. We completed this level with 659320 score using same trick like we didn’t use special candies first that we got and after moon struck we use it to reach requirement with three star score.